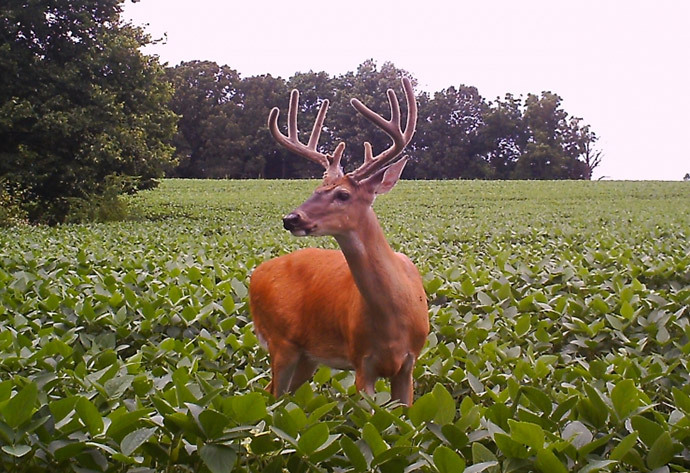 Soybeans are a staple crop in most food plots for deer, and for good reason. Deer love to eat them, and they are fairly easy to grow. Timing is an important factor to consider when you’re planning to grow soybeans for your herd. Depending on your reasons for planting them, you may need to take a second look at your calendar and make some adjustments. 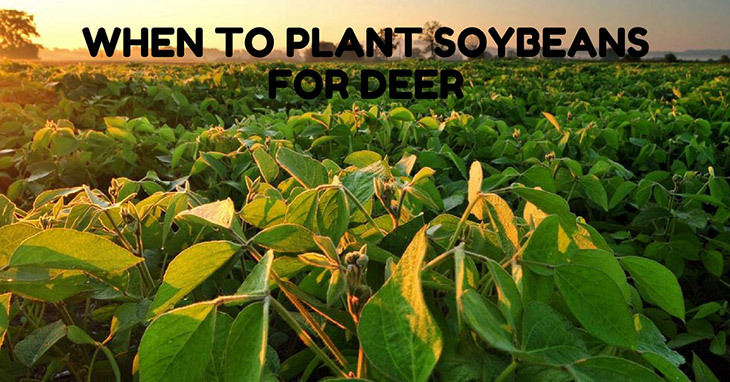 If you’re wondering when to plant soybeans for deer, then you’ve come to the right place. In this article, I will recommend ideal months on when to plant this legume depending on your goals, and then I will give quick tips to make your planting endeavor more successful. Experience has taught many feeding plot owners that spring is the best time to plant soybeans, if your intention is to grow the perfect herd for the next hunting season. Ideally, you want to start planting seeds as soon as the last of the snow thaws from the ground. This may vary a bit, depending on your area. For instance, if you live in the North, you may want to start planting in late May up to early June. If your food plot is in the South, then I think it’s best that you start planting by late April until early May rolls in. If you want to be more scientific about it, you can also measure the temperature of your soil before you start planting. Get a sample of your soil from a one-inch depth and check its temperature—if it reaches 65°F, then you know you can already start planting those soybeans. Now, suppose you’re more concerned about staving off your herd’s starvation during those lean winter days. If this is the case, then I recommend that you start planting around mid-September or earlier, depending on how early the soil on your feeding plots begin to freeze up. Note that although soybeans are more resilient than other food crops, planting them too late in the year may still kill saplings, so you may want to consider this when you plan your next planting schedule. Deer love them. Soybean has always been a delicacy for whitetails. They may come in droves wherever a plot of soybeans is in sight. Depending on who you are, this could benefit you in two ways. If you’re a food plot owner, you can attract more customers because your feeding grounds will be rarely empty of deer. If you’re a hunter and own a feeding ground, you increase your chances of harvesting healthy, premium deer which are feeding on your crops. Soybeans are packed with protein and fat. Deer need protein to build muscles and grow hard, healthy antlers. Soybeans, when grown properly, can comprise of up to 30 percent crude protein. This much protein, when eaten by deer, allows them to grow bigger bodies, and as a result, reward you with a better harvest. Deer also need healthy fat, especially during the winter, so that they could keep their temperatures high and avoid freezing to death. Soybeans are a good source of high fat, which deer can store in their bodies for winter use. Soybeans are easy to grow. Soybeans are not difficult to grow, as long you know how to properly care for them. They can last in almost any weather condition, even in cold winter climate. By springtime, when it’s time to plant a new batch, you may even be surprised to see some remaining beans still in their pods. Plant soybeans in large plots, if possible. Because deer love soybeans, they tend to eat them even when they are not fully grown yet. To minimize the pressure brought by this problem, I recommend planting soybeans in food plots of at least 2 to 3 acres. The bigger your food plot, the more scattered the deer will be when feeding, and the more chances your soybeans will have to recover and mature before they’re fed on again. Time your planting schedule strategically. Many food plot owners time their planting schedule two to three weeks after agricultural farmers have finished planting their fields. This gives the deer time to familiarize themselves with the bigger soybean plots and keep them away from your own lands. Consider setting up a deer fence. Deer fences are a handy equipment to keep deer out of your food plots until your soybeans have had the time to grow. Although deer can jump heights of up to 8 feet from a standing position, there are many fences available in the market that can discourage them from taking that leap. If you’re planning to raise buff, healthy deer for hunting season, I advise you to start planting as soon as winter has gone and spring is in full bloom. This could mean anytime from late May to early June if you’re from the North, and from late April to early May if you’re from the South. If you want to help your herd survive the cold winter by providing them with extra protein and fat, then you may want to start planting before mid-September. As always, it is best that you consult your area’s weather schedules to make sure you don’t plant the seeds too late, as the frost may end up killing them.